The winner is my Okie friend Dawn! If the survival of mankind depended on my cooking, the human race would suffer the same fate as the dinosaurs did once upon a little while. 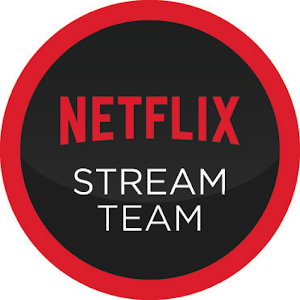 Is there a word stronger than loathe? I never have the right ingredients, I'm too tired, too lazy, I don't like to clean up. It's just the two of us. I'm preoccupied, forgetful. I burn things or they are underdone. I'd be happy to eat out every day or just have a bowl of cereal. Unfortunately, Whynot and I do not see eye to eye with these options and so I cook for the sake of survival. The other day, as I stared at two 1/2 thawed chicken breasts, daydreaming of how fabulous it would be to sit down to a deliciously prepared by someone else plate of Chicken Piccata, I remembered the box of Progresso Lemon Pepper Panko in the pantry. The chef´s secret is out - panko is in! A longtime secret of Japanese cuisine, panko is now a pantry staple for creating perfect crispiness in any dish. This fall, Lemon Pepper will join the ranks of Progresso´s line of panko bread crumbs, which includes Original and Italian flavors. Whether frying, baking or broiling, this culinary superstar adds a flavorful crunch to create simple, savory recipes. Made from the soft, tender centers of the bread, Progresso Lemon Pepper Panko combines the perfect crunch with effortless flavor to give any dish that extra punch. The large, flaky crumb has a coarser texture than traditional bread crumbs, delivering a lighter, crunchier coating or topping. I adapted a super easy crusted salmon recipe from the back of the box using 1/2 a cup of Panko, 1/4 cup of parmesan cheese and 3 tablespoons fresh buttery flavored spread. I mixed it all together, and pressed it evenly on the chicken breasts. One half hour later I placed the baked chicken on top of some green beans and called it dinner. 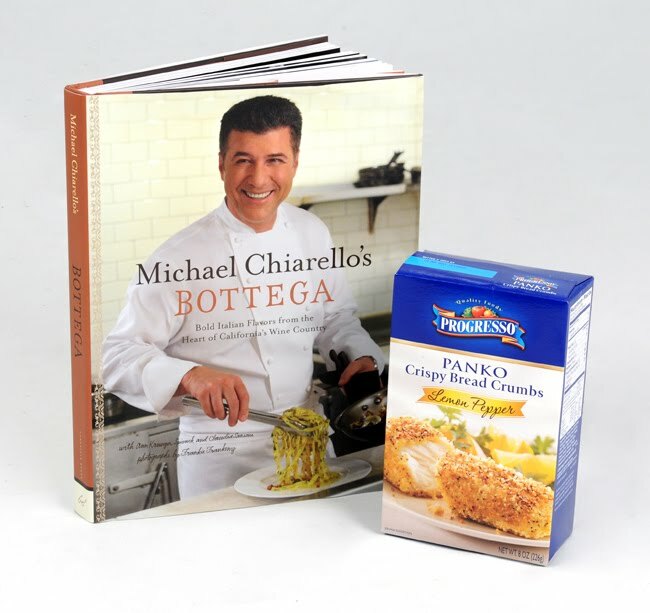 If you´d like to try Progresso Lemon Pepper Panko for yourself, I am giving away a gift pack including one package of Panko and an autographed copy of Chef Michael Chiarello´s new cookbook: Michael Chiarello´s Bottega. A chef known for his emphasis on creating delicious dishes with fresh, premium ingredients, Chef Chiarello uses panko as his go-to bread crumb for a crunch that won´t quit. An Emmy-award winning TV chef and cookbook author, Chef Chiarello is the tastemaker behind Bottega Napa Valley Restaurant, NapaStyle and Chiarello Family Vineyards, and appears on The Cooking Channel and Top Chef Masters only on Bravo. Chef Chiarello is helping cooks everywhere use Progresso´s panko to make flavorful, flawless recipes including Crispy Seafood Salad, Mama Chiarello's Stuffed Eggplant and Turkey Scallopini and Squash Ravioli with Cranberry Brown Butter. Visit the Progresso website and tell me a recipe you'd like to try using panko. This giveaway ends on November 23rd and the winner will be notified by email. Visit the Progresso website for additional recipes, tips for cooking with panko, video and a coupon for $1 off any panko flavor. Additionally, be sure to check out the Progresso's Wine & Dine with Chef Michael Chiarello Sweepstakes. Now through December 31st, participants can enter for the chance to win a trip for two to Napa Valley to attend the Spring Bud Break Party, an annual dinner and wine tasting event taking place on May 7, 2011. In addition to two tickets to the party, the grand prize also includes roundtrip airfare and hotel accommodations. Visit www.progressobroth.com for the sweepstakes rules and entry form. Disclaimer: General Mills through MyBlogSpark provided me with a box of panko and an autographed cookbook as well as an identical prize pacakge to giveaway to one reader. I received no other compensation. I would make either the angry shrimp or the mashed potatoes gratin. 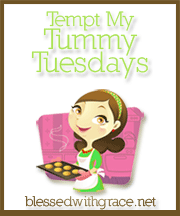 And, I am a collector of cookbooks!! I LOVE them. I love to cook as well. I just don't like to clean. Blech! I follow you on Twitter as well. I'd make the Spinach Arancini. I'm a follower in Google. I'm a follower on Twitter. The mashed potato gratin! YUM. That "I'm a follower" comment above was for Google Connect. Hmmmm. That green broccoli soup looks good and I'd cut back the calories by using low fat yogurt to make it creamy. i would try the spinach arancini--i'm trying to sneak more spinach into my kids. Mmmm butternut squash soup. Yum! Beyond any doubt blog with usable informations.